Meet Mike, Pete, Joel, Dan and Dan’s lovely wife ( at least I think that is Dan’s wife). They are combat veterans who I had the good fortune of meeting up with during a recent trip to Washington D.C. While they were in D.C. they spent some time visiting with actual wounded soldiers up at Walter Reed Army Medical Center. Which is where Mike comes in. I told you he was charming. 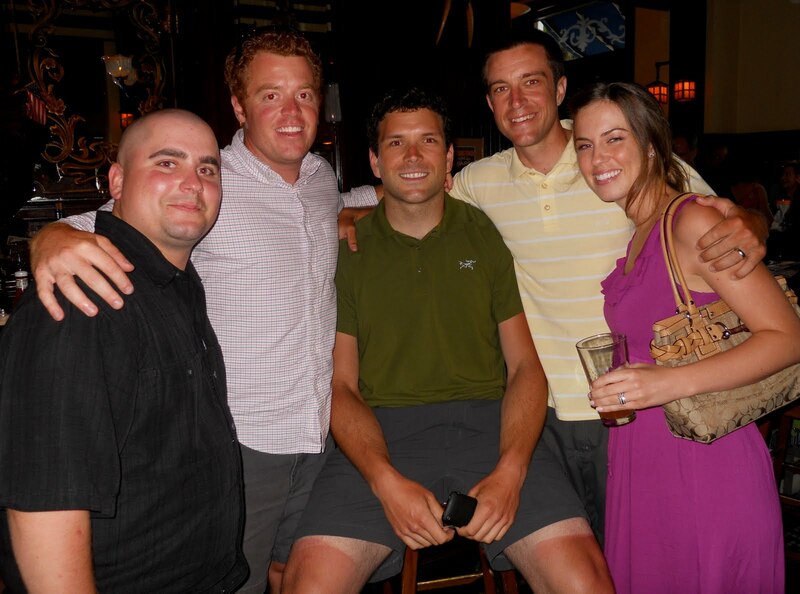 Pete, Joel and Dan met Mike on the day they were visiting wounded soldiers up at Walter Reed and found Mike’s story to be one of heroism and bravery. They also ran into Mike later that evening at a famous restaurant across from the White House where I had joined up with my brother, sister-in-law and Mike for dinner. Hence the photo of these four soldiers reunited again. I have such tremendous respect for our soldiers, both past and present who have served our country with honor and distinction and fought to protect and preserve our freedom. We are equally blessed to have so many soldiers like Mike, Pete, Joel and Dan. They are fine examples of the brave men and women in uniform today and I sincerely thank them. I thank them for their sacrifices and their service to our country. Because I know that freedom isn’t free.